Quigg v Munroe ends in techical draw. Munroe cut badly in 3rd after clash of heads. In the main event on Rick Hatton’s ‘Road to Glory’ card at the Manchester Velodrome in the UK tonight the dispute over Britains best super Bantamweight title ended abruptly and disappointingly for all concerned after an accidental clash of heads led to a ‘Technical Draw’ decision. 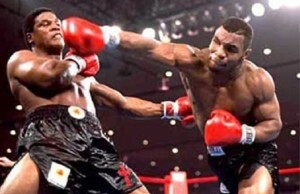 The fight was widely predicted to be a real classic. The very essence of a war. A young unbeaten up and coming fighter, British Champion Scott Quigg, against a seasoned campaigner, dominant at European level and challenger for world honours, Rendall Munroe. What we got was the phony war. Regrettably, in the 3rd round, the curse of a great many southpaw v orthodox fights, an accidental clash of heads, spoiled what was shaping up to be a thriller. Both fighters came to the ring brimming with confidence. Munroe first, bouncing, in shades and a woolly hat. He had appeared on the scales the day before with a 6 pack which would have put any past ‘Mr Olympia’ winner to shame. Quigg second, calmer but no less focused made his way purposefully to the ring. Round 1 went to Munroe. He took ring centre. Popped off the right lead repetitively and threw shrewd combinations involving the right hand with uppercuts and body shots. Quigg started pensively, almost respecfully. 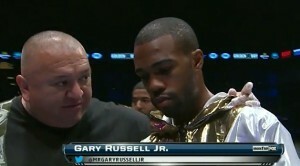 Perhaps seeing what his opponent had to offer before making up his mind how he would approach the fight. Quigg changed gear and started to use lateral movement to avoid Muroes leads. Where he wasnt able to avoid he tighted up his defense and Munroe landed only on leather of forearm. Quigg on the other hand was more effective with counters. Often he would circle to Munroes right and fire off a hard right on the way which either caught his opponents face or more likely the body. By the end of the 2nd round it was poised at a stanza apiece and shaping up to be a cracker of a contest. Then, early in round 3, Quigg let a right hand go over the top of Munroe’s guard and leaned in to deliver with maximum intent. Munroe appeared to lean down to part avoid and part retaliate and his right eye hit the top of the back of Quiggs head. Munroe winced, eye closed but continued. 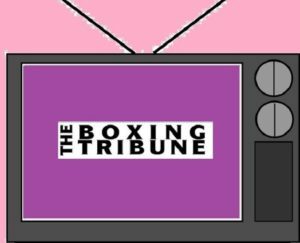 Within the minute the referee interjected and took Munroe back to his corner, bleeding badly from what had emerged a serious gash along the eyebrow. The doctor shook his head. The ref waved the fight off. Munroe was visibly angry, cussing and banging his gloves together. Quigg looked more bemused than anything else. A desperate end to a potentially great fight. All agreed that after an appropriate period of healing, a rematch had to happen. Quigg will probably take an interim British title defence. Hopefully Rendall can heal fast and this match can be resolved to a satisfactory conclusion. Sadly, a few idiotic fans booed at the end, showing no respect and indeed lack of understanding of the sport, for two warriors that had clearly prepared impeccably but had simply fallen foul to one of the hazards of not only boxing but of the match up between right hander and lefty. This one is not done. If we are lucky we’ll see them back together by years end to resolve the domestic number one argument. Carl Frampton is not to be ignored but while he may have his eye on Quigg, the ‘Boxing Binman’ refuses to believe that his day has passed. Only time will tell. And good stitches.